A state-of-the-art building is set to welcome its first research volunteers after the Clinical Research Facility (CRF) moved into the Quadram Institute. Some clinical trials moved in on 18th September, which marks the start of a phased move into the multi-million pound building. 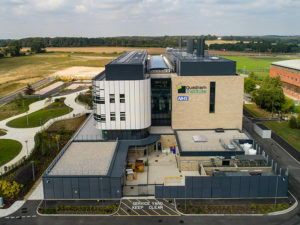 The CRF at the Quadram Institute is an exciting partnership run by the Norfolk and Norwich University Hospital (NNUH) and brings together researchers and scientists from the hospital, Quadram Institute Bioscience (QIB), University of East Anglia (UEA) and across the Norwich Research Park. The development is a major boost for the Trust’s ambition to enhance research at the hospital. The CRF will be the hospital’s primary facility for clinical trials that do not need to be located within the main hospital building. The CRF will be home to a host of research studies into a range of health conditions, involving patients and volunteers. Because of its close association with the NNUH Endoscopy Centre and links with QIB and UEA, the CRF is perfectly placed for research into food and nutrition. The results of these trials will lead to new strategies and treatments for improving health and preventing related disease. The CRF will provide a mixture of outpatient clinical and laboratory space as well as a food-preparation area for diet-related studies. The Quadram Institute will also be home to a range of NNUH services run by the Endoscopy Centre and Bowel Cancer Screening Service. The Quadram Institute is a complex building bringing together different sets of users and under a phased occupation plan. The building is undergoing a period of further equipment installation, which will be fully tested to ensure it meets high health and safety standards as well as scientific requirements. 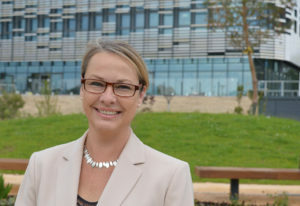 It has been created by four founding partners – the NNUH, UEA, QIB and Biotechnology and Biological Sciences Research Council (BBSRC) – to work across four research themes: the gut, healthy ageing, food innovation and food safety.